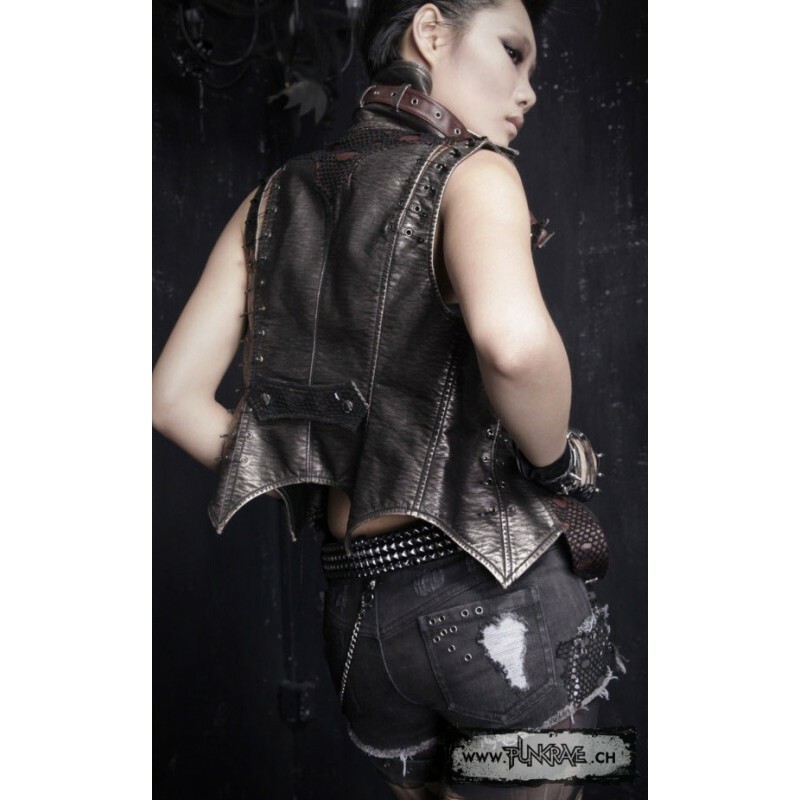 Black visual kei gothic jean mini shorts with tight strap and spikes. 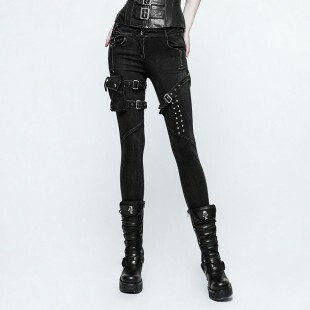 Black visual kei gothic jean mini-shorts. The front has a used look, a spike on both the front zipper and the right pocket. The left pocket comes with a chain that attaches to the back. 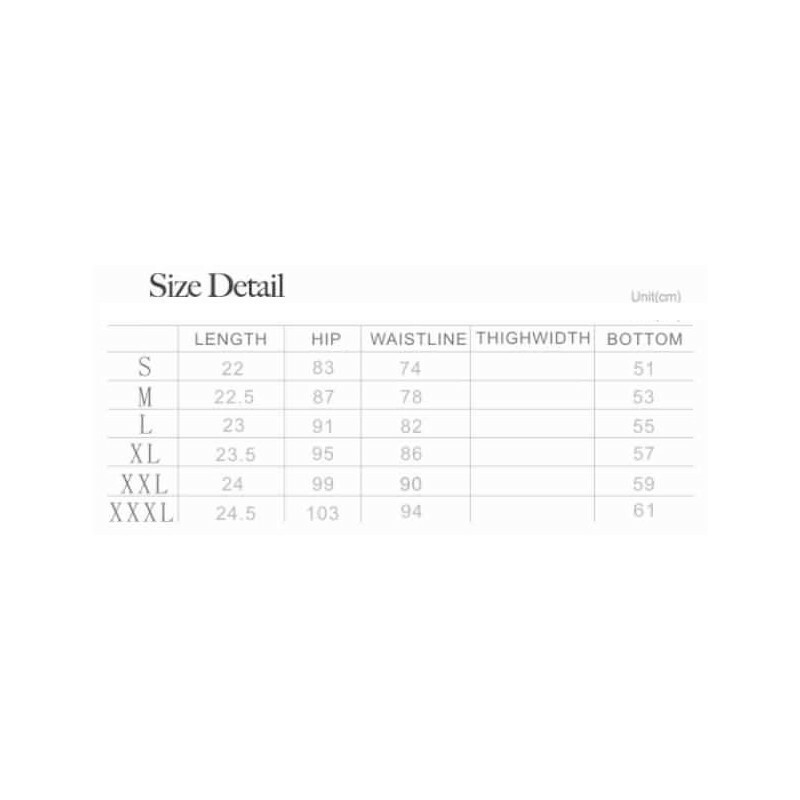 These shorts also have a small strap coming around the tight with a buckle, eyelets, and studs. Guaranteed sexiness ! 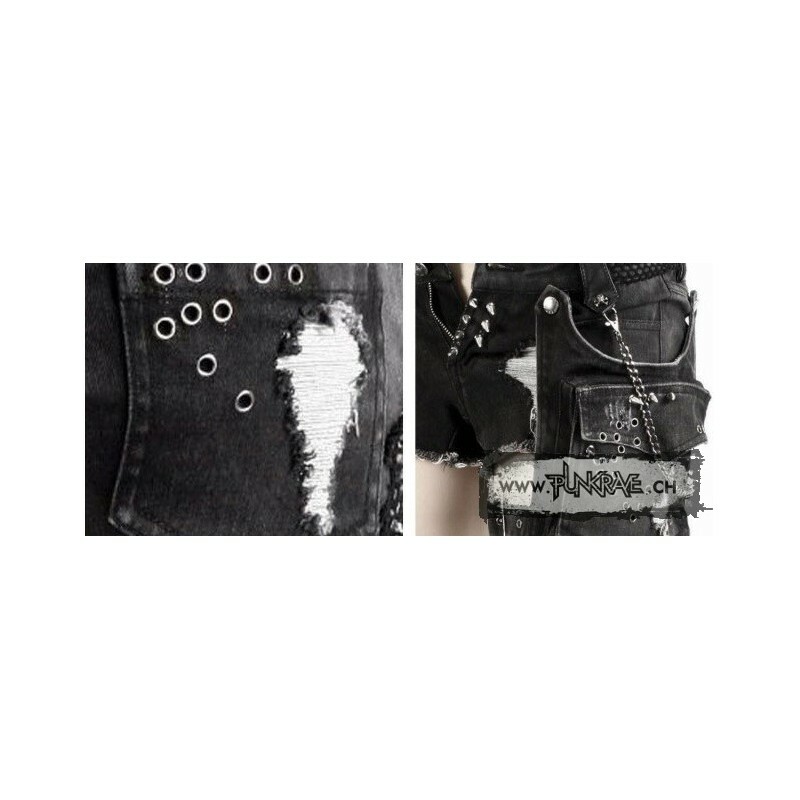 Pleather gothic skinny jeans with rows of studs, straps and pockets. Very original Rock Legging available in black or red and black. Snake print and leather gothic mini dress with asymetrical edge. 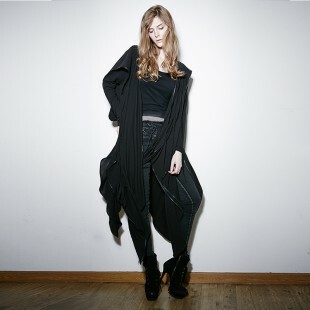 mittens black leatherette adorned necks and lacing style industrial punk.